Our brand manual is exactly where your brand story begins. In it, you will find a personalized guide with your brand’s unique story, target customer avatar, pillars/values, tone and more. 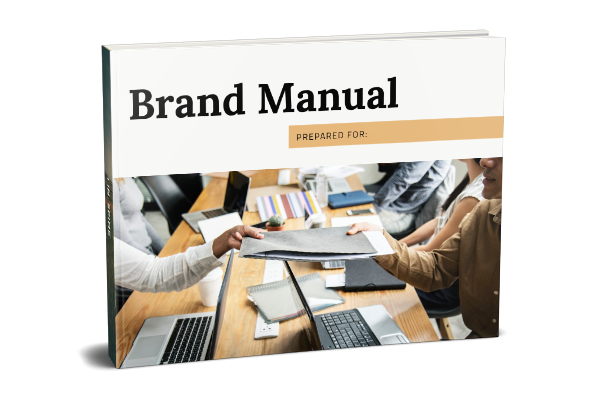 Your brand manual is the first part of your marketing and branding strategy. It sets the tone for your brand story, brand positioning and how to effectively communicate with your ideal customer with consistency over time. Much like the logo and style guide, your brand manual helps define your brand story. This includes a range of important facets, including: discovery, your brand development questionnaire, your ideal customer avatar profile, 7-steps to your brand story and more. The goal in completing this process is to build a solid foundation for a brand that is consistent, authentic and really connects and engages your ideal customer or client. At ModernMarca, we do the heavy lifting for you. We will work with you to complete your custom brand manual, so that you can benefit from this solid brand foundation for years to come. We know that brand development can be challenging, so we take the reins to develop your fully-formed brand island and understand your customer or clients needs. Once your brand manual is complete, you can expect a tailored guide that helps you define your brand, speak to your ideal customer and ultimately, helps you grow your modern success story over time.